If you are like pretty much every business owner I have ever met, you cannot stomach the idea of abandoning your business. But if an accident or illness knocks you off your feet, and you are not prepared for it, you can go from six-figure monthly revenues to squat overnight. And yet, you will still need to pay your mortgage, business vendors and payroll. Can you do it? If you do not have a backup plan, turn the page—you will find the three financial steps you should take today to protect you tomorrow. 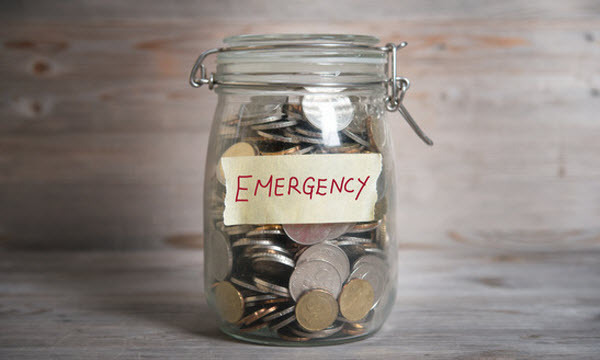 For years, financial advisers have recommended that everyone stash enough cash to cover at least six months of personal and business operating expenses for emergencies. Yeah, right. To most people, that is an obscene amount of money to have parked in a near-zero-interest bank account. A better solution: Open a line of credit (both personal and business) that can supplement a more modest emergency fund amount of about two to three months’ expenses. If you do not have disability insurance, get it. Some policies guarantee a percentage of your income—typically up to 60%—while others cover your business’s overhead so you can pay bills (which, conveniently, includes your full salary). But make sure you shop around and read the fine print to uncover any loopholes. A client of mine learned this the hard way, when she found herself in the hospital after a car knocked her off her bike. The insurance company paid nothing because it determined that her business did not suffer a “significant enough” drop in revenue while she was debilitated. She nearly went bankrupt. Whether you end up relying on a lump sum of cash or a reduced income stream, one thing is for sure: You will need to live lean when you are out of commission. The more time you prepare for the worst by limiting your personal overhead, the easier it will be to weather adversity. Personally, I never let my fixed expenses account for more than 45% of my income after taxes.